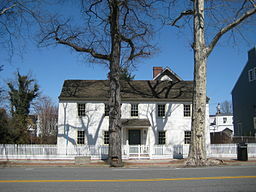 The museum of Raynham Hall is nestled inside a quiet neighborhood in Oyster Bay, NY. In 1779, a romance blossomed between those walls that may have decided the fate of the American Revolution. Raynham Hall, historic home of the Townsend family. Visitors and employees of the museum still encounter spirits from the bygone days of the Revolutionary War. When British officer John Graves Simcoe billeted himself in the home of influential Patriot Samuel Townsend, he planned to send a message of his own power. 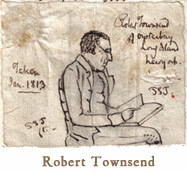 What he didn’t plan for was Townsend’s pretty daughter, Sarah “Sally” Townsend. It might have been easier for the serious and controlled Simcoe to ignore his attraction to Sally, if it weren’t for the frequent visits of his friend and fellow British officer, John Andre. 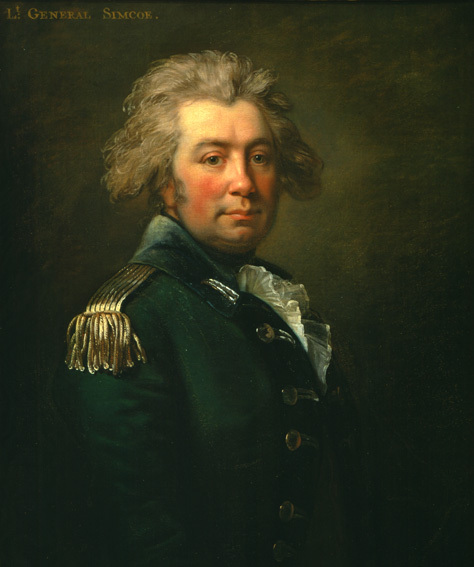 John Graves Simcoe, Lt. Colonel of the Queen’s Rangers, who wore green rather than red coats. Andre was dashing, cultured and well-loved by everyone (but women most especially). He was everything Simcoe was not. While Andre never had real designs on any girl, a flirtatious rivalry for Sally’s attention developed between the two officers. The terrible truths of war were distant stories to Sally, and it became hard to see these two young men as her enemy. After all, they shared the same language, knew the same songs and the same dances. They read the same books…and they looked very handsome in their uniforms. Though somewhat bombastic and rigid, Simcoe had his own hidden strengths. He was a brave and respected leader, a field officer who had been tested many times in battle. How and when Simcoe and Sally’s flirtations grew deeper is lost to the passage of time, but on Valentine’s Day 1779, Simcoe wrote Sally a Valentine. The shrine of pure unchanging love! My heart was formed for Constant love? And still maintain this outward show? Be ever clad in horrid steel? Of conquest o’er unworthy foes? And raise my thoughts from Delia’s urn? “Your answer take from Sarah’s eyes. This poem is the earliest known Valentine ever received on American soil…written by a British officer for a Patriot girl. Impulsive John Andre did all of the above, and he was caught returning home from his meeting with Arnold. American mythology has painted the two men who captured Andre as devout Patriots, but it is likely they were simply opportunists. Although in plain clothes, Andre told them he was a British officer. Whether they handed him back to one side or the other, they knew there was money to be made. They searched Andre and discovered papers and a map of West Point in his boot, but because they were illiterate, they did not know what they had. The loss of West Point would have collapsed Patriot defenses. The British Navy would have continued into Patriot territory and slaughtered their weaker and smaller cause like lambs. If Andre had been caught in his uniform, he would have been held as a prisoner of war. Because he wore civilian clothes, he was convicted as a spy. And spies were hung. The death of the beloved John Andre was painful to both sides. 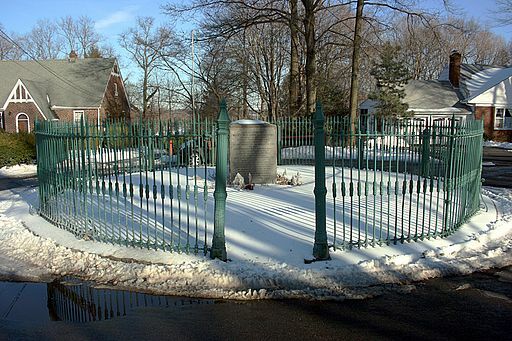 In the place of his execution, George Washington built a monument which is still there to this day. How did Washington learn of Benedict Arnold’s plot so soon after Andre’s capture? Citizens of Oyster Bay will tell you that Washington already knew. He was well on his way to West Point before Andre stumbled into enemy hands. In her comfortable love and friendship with Simcoe and Andre, Sally discovered the West Point plot. She was forced into a terrible choice that still haunts her and Raynham Hall to this day. She had to choose between loyalty to the man she loved, or loyalty to the cause she believed in. Sally chose her cause. She went to her father who sent word to his son Robert, a merchant in New York City. 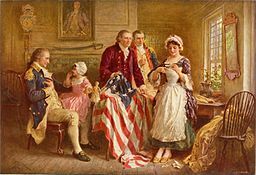 Robert was able to warn Washington, and an alternative outcome to the American Revolution was thwarted by the heavy choice of a sixteen year old girl. After Andre’s death, Simcoe left Oyster Bay and never came back. Simcoe and Sally never saw one another again. 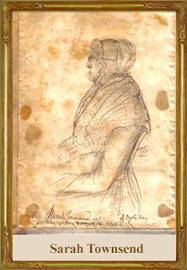 He married a wealthy woman and returned to North America as the Lieutenant Governor of Upper Ontario. Sally never married, and she never left Oyster Bay. When she died at the age of 80, a journal was one of the few things she owned. Inside was found Simcoe’s Valentine, creased and well-worn from the years she had held and read his words. This story might be dismissed as local folklore, but at the turn of the 20th Century, historian Morton Pennypacker used handwriting analysis to uncover the members of the Culper Spy Ring, George Washington’s most successful espionage unit. One of its members? Sally’s brother, Robert Townsend. Sally’s spirit still wanders Raynham Hall. She stands lovelorn and torn at her bedroom window. She isn’t alone. 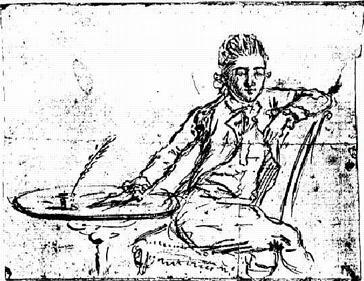 The ghost of John Andre often appears to charm and cause mischief.Sally stood firm on beliefs about American independence, but Simcoe believed just as strongly that the Colonies were legally tied to the king. To him, the betrayal of his love was also an act of treason. Simcoe never forgave Sally, but maybe Andre’s visits mean he has. I pray someday Sally can forgive herself, and Raynham Hall will become nothing more than a testament to the painful beauty of life, love and honor. 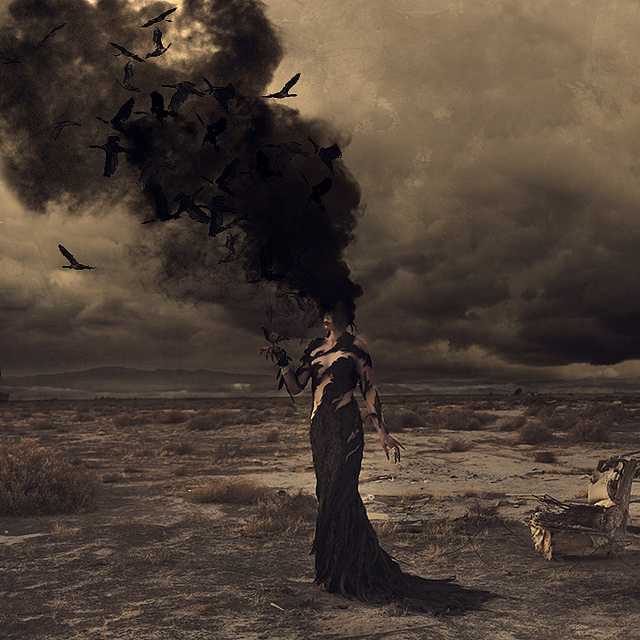 © 2013 Brooke Shaden. All Rights Reserved. Evelyn stood at the mouth of the cave. The lost warmth of the warrior’s hands, his body, his voice, his heart, that absence left an emptiness. She could feel it like a man might lose his arm in battle but still complain he felt pain in his fingertips. Nothing remained but a fire that dwindled to ash, and the thick forest she had come from. Beyond was the path that led to her village, to rows of houses but not homes. To dresses and shoes that waited in her abandoned closet, but they would not fit her anymore, or she would not fit inside of them. She wandered through the arc of trees, which had become full of green and bird-song. Hope whispered on the wind. It was impossible to stay sad while the sun danced through the leaves and left a delicate pattern on the path ahead of her. Like life and love and time. They trace their shadowy impressions on the heart too, but they can’t do so without the light. “Oh, how I wish I could share this with you right now.” She closed her eyes and tried to always remember that moment. A breeze lifted her hair and smoothed it from her face the way her warrior once had. Evelyn came to the other side of the woods, to the place she had entered frightened and burning with life on that first winter night. It seemed not only a season ago, but a lifetime of seasons since she had sought out the mysteries of the forest. Slowly, she put one foot outside the last row of trees, and let it rest in a world that had once been hers. She didn’t belong there anymore. She turned back to the path. Winter would return again, and maybe her warrior would too. She could go to the cave. She could wait. A lone, gray wolf stood in the path. Each time she tried to take a step forward, he lowered his head, pushed back his ears and growled. Even with the wolf ahead of her, the road back to the village was a kind of death too. She stood straddled between her two pasts until night fell. The moon rose round and full, and its light spread until it fell over the wolf. He leapt away and disappeared into the dark forest. Evelyn ran as fast as she could down in the direction she thought would take her back to the cave. Nothing was familiar. Everything seemed changed. She came to a place she didn’t remember, where the path forked in two directions. Neither seemed right. In the center, a gnarled tree twisted up from the ground. Evelyn was too tired to decide which choice to make. She threw herself down in front of the tree and rested her head against the trunk. “I am lost.” But what am I really looking for, she wondered. “Alms for the poor?” Croaked a voice from above her. Evelyn wasn’t leaning against a tree. She was leaning against a bent, old woman draped in a black cloak with a pointed hood. “Alms for the poor?” The old woman reached out an arthritic hand. The gray wolf leapt down the path and disappeared into the shadows. Evelyn looked back at the old woman. There was nothing but a bent tree with a knotted branch that pointed to the darkness of the right hand path. She pushed through branches and tripped over logs until she came to a clearing. Above her in the Heavens blazed the greatest fire she had ever seen. 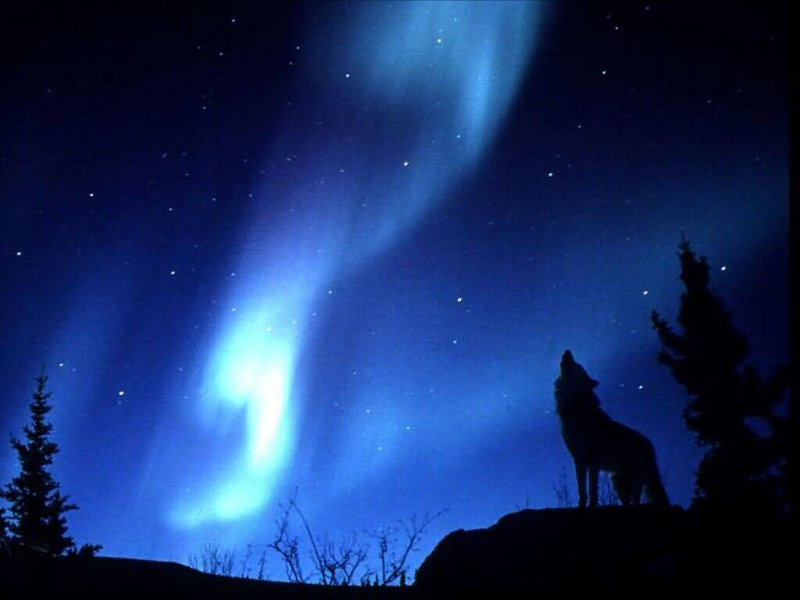 The young warrior danced through the sky around it, leaving trails of deep red and indigo and violet wherever he went. The night grew bright with his dance. She made her home in that clearing, and there she had a daughter. The mother of us all. She taught her daughter to fight and weave with equal craft. Since that time, our ancestors have lived only where the Northern Lights can guide them to the place of their own stories and then, in the end, the lights call us forward to our greatest adventure of all…to the Beyond North. A woman in an emerald cloak drifted through the snow, down a white path that snaked through a thick forest. She was alone. No one had come with her because no one knew where she was. All her life, she’d heard the forest wasn’t safe, but it would be better to die than to go on living as she had been. She didn’t know what she was searching for in the forest. She didn’t know what she was running from in the village either. She only felt it. A knowing that there had to be something more. It called to her on the wind. The wild wolves answered, and suddenly she needed to answer it too. She needed it so badly that it didn’t matter what might come of her. The song of the wolves danced along the frozen North Wind. They sang of the night, and the pure white snow, and the lonely moon grown full with waiting from above. As if conjured by their plaintive call, she came to a place where the trees formed a long arch above the path, like a snowy cathedral that glittered in the moonlight. A pack of silver wolves stood sentry at the far end, weaving a web of deadly confidence. My goodness, they will hurt me, she thought. I will die here all alone. But she had been hurt in the village too, and lonesome, although she was always surrounded by her people. On that path with the wolves, fear made her blood race, and she felt alive. “You won’t die today,” A young man stood over her. His hair was cut haphazardly, as if he’d done the job with his knife and no mirror, but it shone as silver as the wolves and the moonlight. He carried a large wooden shield on his back and the horned helmet of a warrior under his arm. How had he interrupted her solitary path? She never wanted him to look at her like that again, and she wanted him to always look at her like that. Like the unknown forest, how his eyes promised her life and danger. “I am Evelyn. I mean nothing to anyone.” It was impossible for her to shrug away the secret that she had just left being a daughter, and that she was intended to be someone’s wife. Those both meant something to someone. The truth was that she was the one who didn’t know the meaning of any of it. That felt like an unworthy sentiment, and she looked down so he would not see her go red. Cuts and bruises ran over his hands and into his fur-lined coat. “Are you hurt?” She reached out and touched a clotted wound. What made her do that? What made her ache to think he felt pain? “Only a little. Nothing that won’t heal. Are you hungry? Are you cold?” The way he said it, not like she was a child, the way she felt at home, but as if he had a giant heart and he really saw her standing in front of him. Like a woman should be noticed, full and real. “Only a little.” She smiled. He returned it with a small, lopsided grin that made her grow warm right through her heart. “Yes.” She hadn’t really, honestly said yes to anything for a very long time. Richness. Comfort. Plenty. She’d had every one of them in abundance, but none had given her the warmth she gained from his crooked grin. She reached up and kissed him on the corner of his mouth. They walked together to his cave. He moved toward her, so close she could feel his heat and smell the foreign spice of his skin. “Why would I frighten anyone?” She wasn’t afraid, not now that she had said yes and meant it. She liked the moment just as it was with the promise of discovery spread out in front of her. It would never be like that again, with everything right on the edge of beginning. “I am afraid to part with you.” His face grew sad again, as it had when he spoke of being a traveler. She smiled. He kissed her. Neither of them left the cave, not for a very long time. One night, Evelyn woke and watched the warrior sleep next to her. His profile glowed gently in the firelight. He looked so much more a boy than a man. Sleep had taken the edges of worry from his face, but a single tear slipped from his eyelid and slid down onto his temple. She put her lips against it and tasted the salt of that tear. Her heart grew so big she could hardly breathe. My goodness, I have fallen in love, she thought. He will hurt me. I will die here all alone. When morning came, and the sun pressed out the shadows and the mysteries, she was afraid to tell him how she felt. Time passed. The wind and the wolves stopped howling. The cave echoed with the rush of melting snow. Evelyn watched the warrior’s face grow distant, as if he were listening to something far off beyond the newly budding trees. She felt the coming hurt, waiting to tear out her heart with the same deadly beauty as the pack of silver wolves that had stopped her on the path. “I’m cold,” she said. “Will you put more logs on the fire?” As long as he kept the fire going, he couldn’t be leaving. “You don’t know that I love you.” If he did, he would know how vulnerable she was. “Yes.” She forced the word through the pain in her heart. “But I want to come with you now.” Impossible. It would be impossible to move through the world without his touch and his voice. He kissed her. She tried to smile. A cloud of ravens flew through the cave. And he was gone. Do you think David B really read all of these books, or are they just cluttering his nightstand…Does it count if you claim to read books you actually only flip through when you can’t sleep? Time to crack the books, Bowie fans. To celebrate the international tour of the critically-adored exhibit David Bowie… Is, which features art, film, costumes and photography from the music icon’s career, the London Evening Standard has a list of David Bowie’s 100 favorite reads. The list was released by the archivist who helped curate the Bowie exhibit, which originally opened in London’s Victoria & Albert Museum and is currently at the Art Gallery of Ontario. Comprised of novels, poetry, non-fiction and a few magazines, the list shows Bowie to be something a voracious and varied reader. In fact, Bowie is such a fan of the written word, reports the LES, that if he hadn’t become a musician, he’d have chosen a career as a novelist.